Situated at number 88 of the Léopold-Robert Avenue in La Chaux-de-Fonds, in Switzerland, our workshop is the place where (excluding the components that we outsource) we do everything ourselves (Johan and Bastien - No more and no less). In saying “everything”, we mean: Design, 3D engineering, technical drawings, selection of the suppliers, project management, validation of the manufacturing technical drawings, aesthetic and technical inspections of components, but also adjusting the rate and the beat error, changing the date disc, cleaning and pad printing the oscillating weights, casing, checking the rate and the water-resistance, checking the aesthetic and functionality of the finished product, commercialization (online and offline), expedition and customer service, and, finally, business management, marketing, communication, public relations, photography, and kiln-fired enamel. In brief, as stated before, everything but the manufacturing of the components, which is outsourced! Our workshop is fully functional, with many different machines, benches, staking-tools, and all the necessary watchmaking tools. 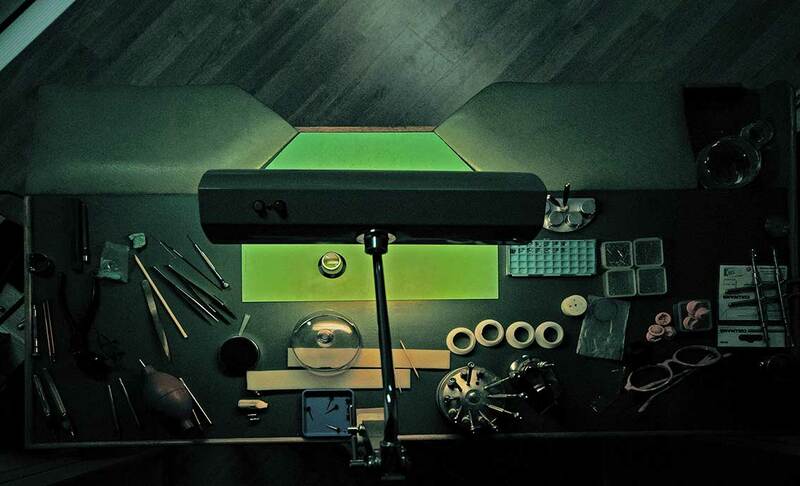 We think of ourselves as independent watchmakers, and that is exactly what we are. 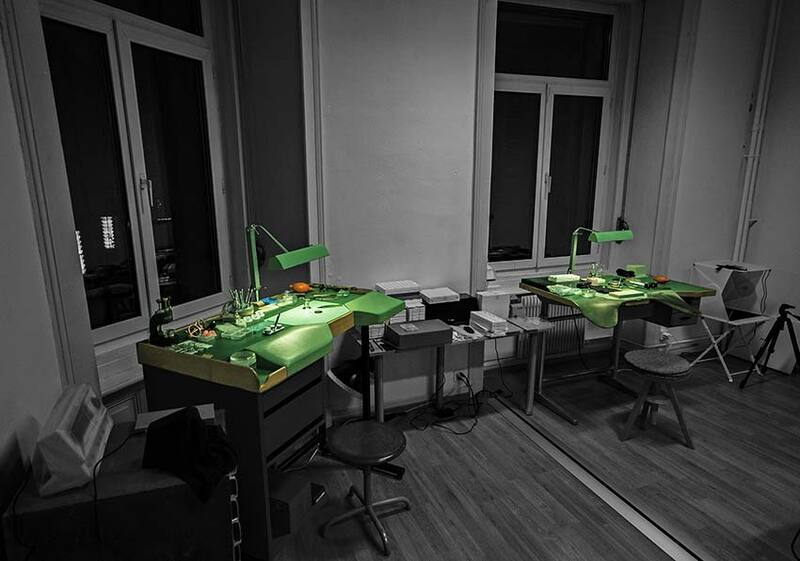 Our workshop found its home in none other than one of the most renowned watchmaking capitals of the world; La Chaux-de-Fonds. Perched at an altitude of 1000m, this labour town of almost 39’000 souls has witnessed the birth of quite a few celebrities, like the poet Blaise Cendrars, the architect Le Corbusier, and the automobile constructor Louis-Joseph Chevrolet. After a fire in 1794 that almost destroyed the whole city, it was decided that it would be built back up based on an orthogonal plan in order to limit the risks of another city-fire, improve the city’s wholesomeness and guarantee a more equitable repartition of the sunlight throughout the city’s streets. 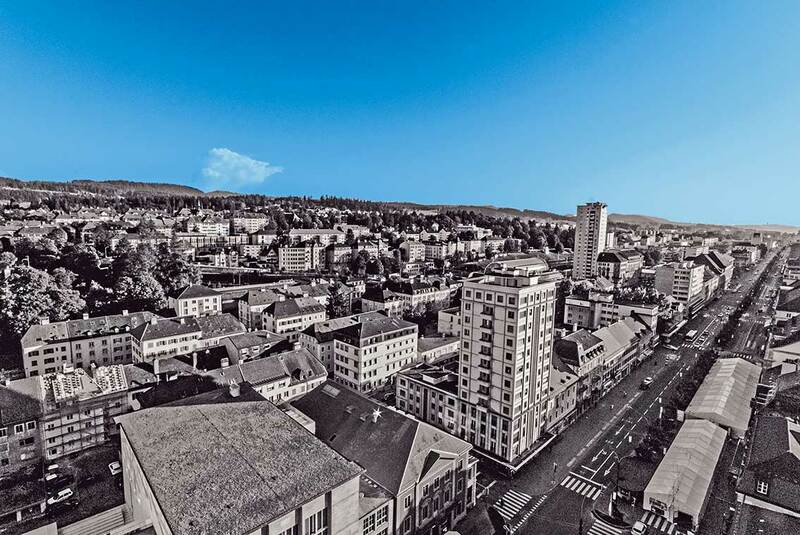 With this new checkered city play, came the glorious rise of watchmaking in La Chaux-de-Fonds. In 2009, at the same time as her neighboring city Le Locle, La Chaux-de-Fonds was registered at the UNESCO World Heritage. This prestigious choice was based, in great part, on the city’s unique watchmaking-dedicated urbanism. Today, the city is filled with an important quantity of watchmakers workshops, factories, and brands, and is also the home of the International Museum of Watchmaking. It is populated with people specialised and sometimes rare expertise, mixing art craftsmanship and high technology. It is next to impossible to find another city in the world with greater history in watchmaking. Having learned our crafts in this city, it is with great pride that we launch our brand here.